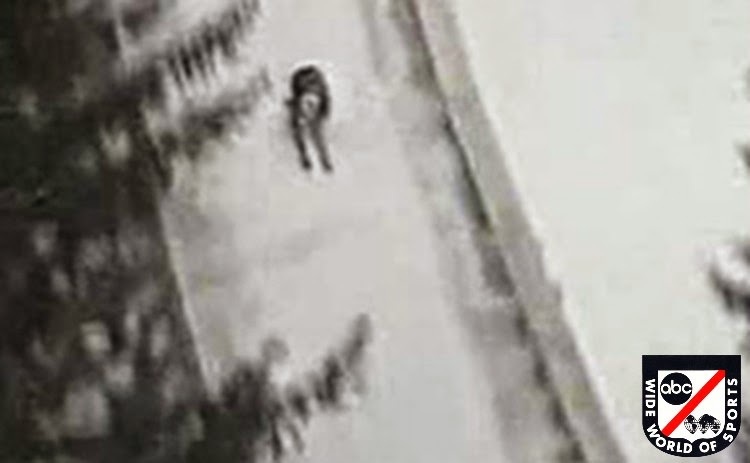 Forty-five years ago today, Vinko Bogataj became "The Agony of Defeat" on ABC's the Wide World of Sports, when it showed a clip of his crash during a ski jump in West Germany almost two weeks earlier. It was only nine seconds of his life. But his defeat is cemented in the minds of millions. Those nine seconds came to symbolize the humanity and frailty in us all. The part of the story you never hear about is that Vinko Bogataj jumped earlier in the day, falling less spectacularly. Yet, he brushed himself off and jumped again. In his next fateful attempt, he made it more than 90% of the way down the ski jump in extreme weather conditions before faltering. After his infamous fall, he wanted to try another jump, but the doctors wouldn't let him. He only suffered a mild concussion and recovered quickly. He continued to ski jump. He went on to coach a World Champion Slovenian ski jumper in the 1990's. At the 20th anniversary of The Wide World of Sports, he received a standing ovation from world-renowned athletes and Olympians. Muhammad Ali got his autograph at that celebration. He is married, with two children. He makes woodcarvings and paints landscapes. He is alive and well today, having recently turned 67 years old. Like Vinko Bogataj, we can not let our lives be defined by our defeats. For every agony, we also know victories. We survive and endure. Don't let the agony of defeats keep you from jumping again. You have the ability to soar. Brush yourself off. Life is a leap of faith. Try again.